The northwest style cottage on the beautiful Westside of San Juan Island is perfect for a relaxing getaway, and includes a tennis court. Stay right on the beach in Lopez Village. Beautiful sunset views over the water. Stay in one of these beautiful cabins on the large acreage. This beachfront cabin offers access to a sandy beach and has recently be updated for extra comfort and ease. These sixteen cabins are located on beautiful waterfront land along the north side of Orcas Island. Several cabin options are clustered along Olga Bay, home to the sleepy hamlet of Olga. This one of a kind cabin is right on the water and offers beautiful views and access to a calm bay. The cabin is located in a peaceful woodland setting. Well behaved dogs are allowed. This small resort has wonderful bohemian atmosphere and throws an amazing music festival every summer. They also have cabins. 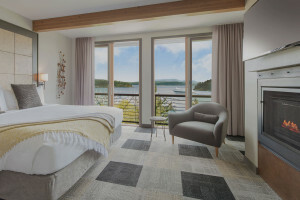 Find just the right Orcas Island rental for your vacation. The resort hosts 6 log cabins which are cozy enough for 2 yet spacious enough for 6. Cabins includes 2 bedrooms and 2 full baths, sofa bed, kitchen and dining nook. This northwest style cabin is minutes from downtown Friday Harbor but set amidst woodland beauty. Stay right on the water in this fun Island style cabin. Relax at a water view RV site with picnic table and fire pit as well as access to other resort amenities. This bohemian style retreat is a great place to escape to, near many popular island destinations.